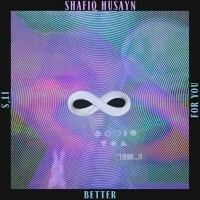 LA based master teacher and musical visionary Shafiq Husayn prepares to initiate ‘The Loop’ with the first official single from his heavily anticipated sophomore LP. This time enlisting the vocal talents of long time Eglo Records collaborator Fatima and fellow LA native Jimetta Rose. The single follows 2014′s ‘It Better For You’ EP, which helped introduce the world to the talents of Anderson Paak. One third of Sa-Ra Creative Partners, Shafiq Husayn signs up to Eglo Records to bring us the first cycle of The Loop. Ep features Anderson Paak, J Mitchell, The Dove Society and more!